The all-triode REX II power amplifier represents a technological tour de force of modern engineering applied to vacuum-tube power-amplifier design. From the plug-and-play simplicity provided by its auto-biasing and electronic protection circuits, to the palpable illusion of recreating the original musical event in your home, the REX II combines high-power output, beautiful midrange texture, and great extension at the frequency extremes. Delivering a robust 80 watts per channel in the stereo version or a compelling 160 watts per channel as a monoblock—and fully symmetrical from beginning to end—it is a design without compromise. THE REX II Power amplifier represents a technological tour de force of modern engineering applied to vacuum tube power amplifier design. From the plug and play simplicity provided by its auto-biasing and electronic protection circuits, to the palpable illusion of recreating the original musical event in your home, the REX II Power amplifier is the ultimate expression of Balanced Audio Technology’s purist approach to creating a statement vacuum tube amplifier. In the world of vacuum-tube amplifier design, the vast majority of amplifiers are either of a push-pull or single-ended circuit topology. You’ll find the typical push-pull vacuum tube amplifier to be most commonly based upon a pentode tube – the 6550 or one of its variants being one popular choice. These push-pull amplifiers can provide high power output, but at the expense of ultimate transparency. The single-ended tube amplifier, on the other hand, often provides wonderful midrange transparency, but with the severe drawback of low power output and less than stellar reproduction of the frequency extremes. The REX II Power amplifier is a different beast altogether. Its design is fully symmetrical from beginning to end. You can think of it as two single-ended amplifiers per channel, with their waveforms summed at the output transformer. The beauty of this design is that no direct current flows through the output transformer. Why is this critically important? This fact allows the output transformer to be a truly wide bandwidth design, while reducing low frequency distortion. When you combine this fully symmetrical circuit with a high-current, all-triode, zero-feedback, fully balanced design, the drawbacks of push-pull and single-ended designs are banished. The REX II Power amplifier combines high-power output, beautiful midrange texture, and great extension at the frequency extremes. It is a design without compromise. The linearity of the gain stage improves. The adjustments for the first and second gain stages become independent and therefore more easily optimized. The tube current source components operate at much lower stress level, thus improving reliability. This dual current source implementation extends the performance of the REX II Power amplifier to another level. The final result is an impressive improvement in the palpability of the phantom musical event. The REX II Power amplifier is a high-current all-triode design that offers a robust 80 watts per channel in the stereo version or a compelling 160 watts per channel as a mono block. THE 6C33C-B triode output tube used in the REX II Power amplifier offers many times the current delivery of the more common 6550 tube used in more traditional push-pull designs. High impedance vacuum tubes like the 6550 require far more complicated output transformers than the low impedance 6C33C-B vacuum tube. Consequently, the REX II Power amplifier is quite comfortable driving low impedance loads. You can simply choose the stereo or monoblock version based upon your choice of speaker and room size. The high-current delivery of the REX II Power amplifier will give you the assurance of driving a difficult load with ease. The advanced design of the REX II Power amplifier eliminates the traditional headache associated with most vacuum-tube power amplifiers; the constant need to set and readjust the proper bias of the output tubes. The REX II Power amplifier features an intelligent automatic bias circuit that adjusts for changing line voltage and aging tubes. For convenience, the intelligent automatic bias circuit contains LED indicators that show the status of each individual output tube. This auto-bias circuit also ensures that your REX II Power amplifier sounds wonderful within the first few minutes of listening. This is indeed very different from manually biased designs that must be adjusted for their thermally warm set point - and thus sound too cold and clinical before their tubes are fully warmed up. 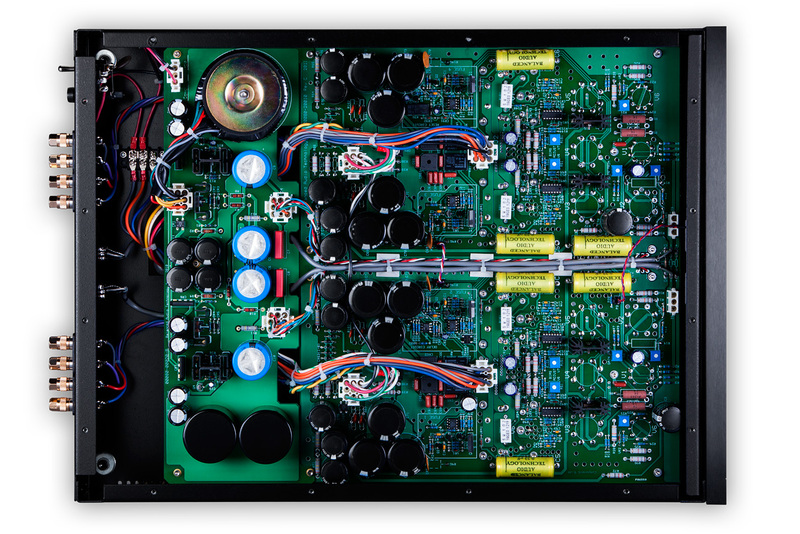 Balanced Audio Technology extends the plug and play nature of the REX II Power amplifier further with a novel “fuse-less” protection circuit. This electronic protection circuit eliminates the power supply rail fuses to provide both a more refined sonic performance, as well as a very user-friendly experience. All the user has to do in the event of an output tube being over-stressed is to flip the power switch; it doesn’t get any easier than that! No tubes to bias. No tube fuses to replace. This is the best of modern engineering applied to vacuum-tube amplifier design. 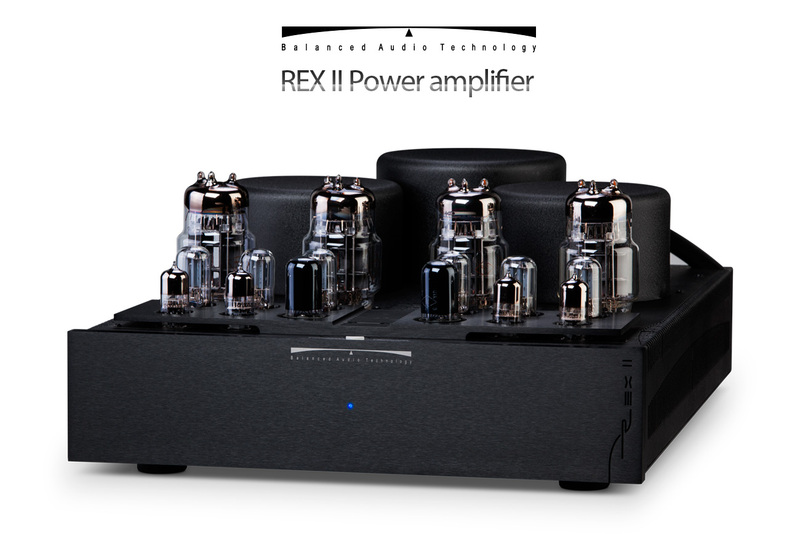 The REX II Power amplifier is easily upgraded from the stereo version to monoblock configuration. Unlike competing designs, there is no need for the user to trade their amplifier in to obtain more power. With the REX II Power amplifier, the user can simply convert their existing REX II to a monoblock, and then order a second REX II monoblock to match. 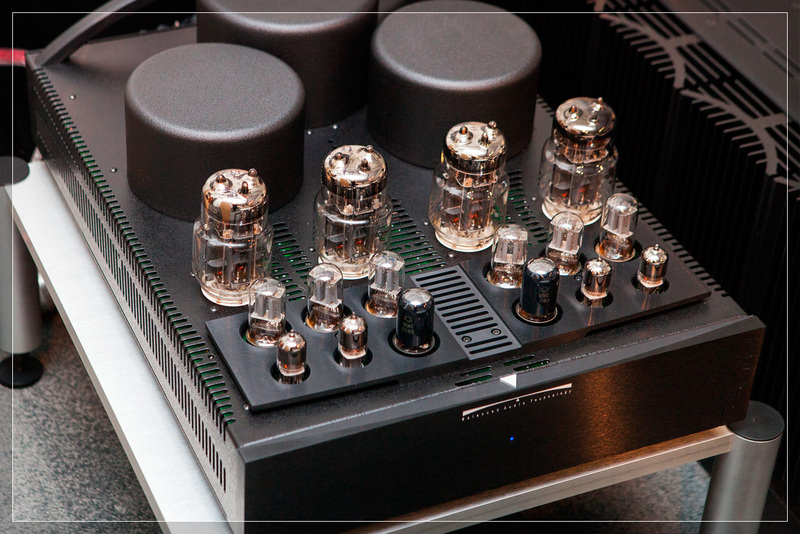 Technically, the stereo to monoblock conversion is accomplished by simply paralleling the inputs and outputs. This means that “the sound” only gets better as monoblock current delivery goes up by a factor of two and the monoblock noise floor drops appreciably as well. A little known fact is that you can even parallel the REX II monoblocks by daisy-chaining them together. 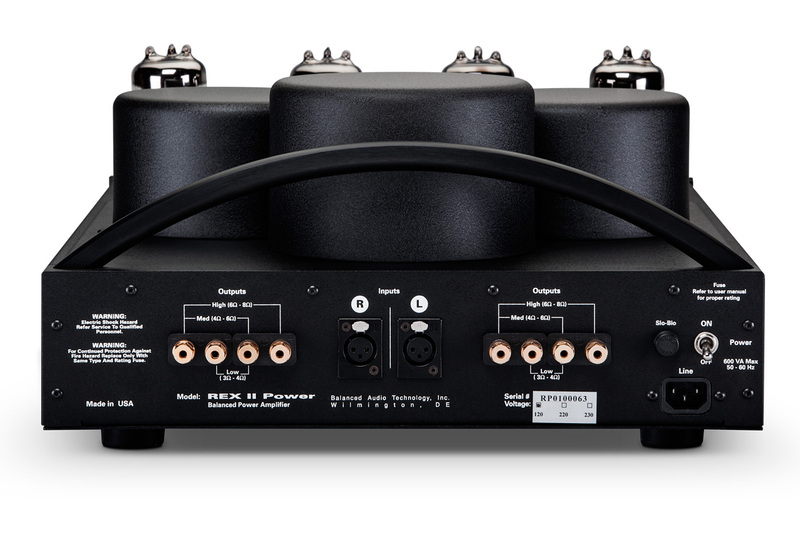 Do you want 320 watts per channel of high current, zero feedback, fully balanced power? Just use two REX II monoblocks per side! The REX II Power amplifier from Balanced Audio Technology is the culmination of nearly two decades of research into what constitutes the ultimate vacuum-tube power amplifier. 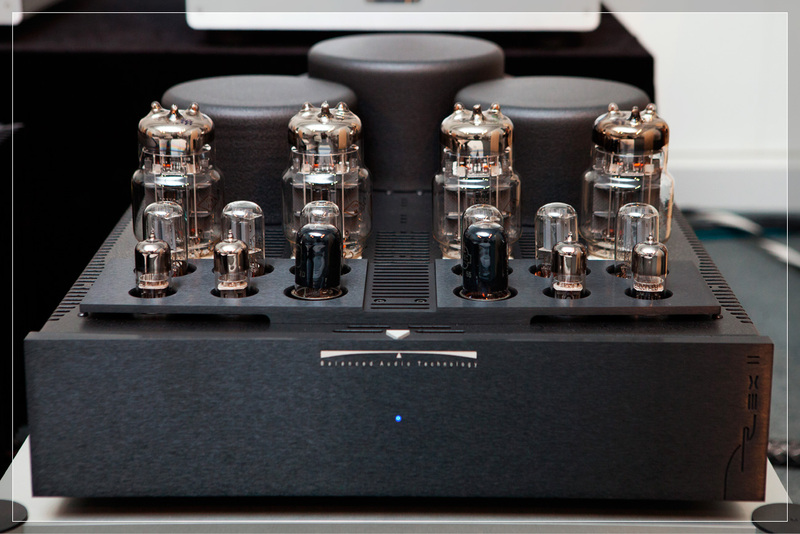 Right out of the box, it is unlike most vacuum tube power amplifiers in being a fully balanced symmetrical design. This balanced symmetry, when combined with a high current, zero-feedback, all triode, dual vacuum-tube current source topology makes the REX II Power amplifier special indeed. 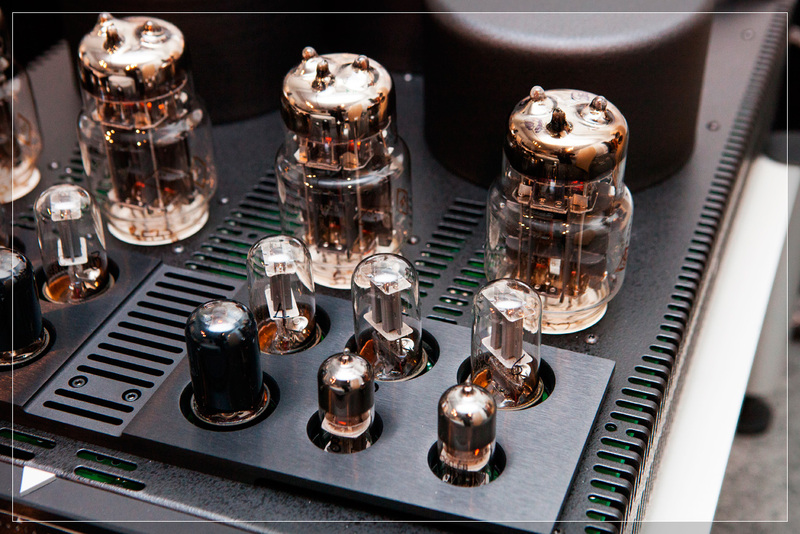 Add the plug and play nature of automatic biasing and automatic protection to the list, and you have a thoroughly modern vacuum-tube amplifier that, by design, performs well above the rest. Think of the REX II as two single-ended amplifiers per channel, with their waveforms summed at the output transformer. No direct current flows through the latter, allowing the output transformer to be a truly wide-bandwidth design while reducing low-frequency distortion. REX II extends the benefits of vacuum-tube current sources to include both the first and second gain stages of the circuit design. Hence, the linearity of the gain stage improves, the adjustments for the first and second gain stages become independent, and the tube current source components operate at a lower stress level. You can also fine-tune the sound to best meet your individual needs. 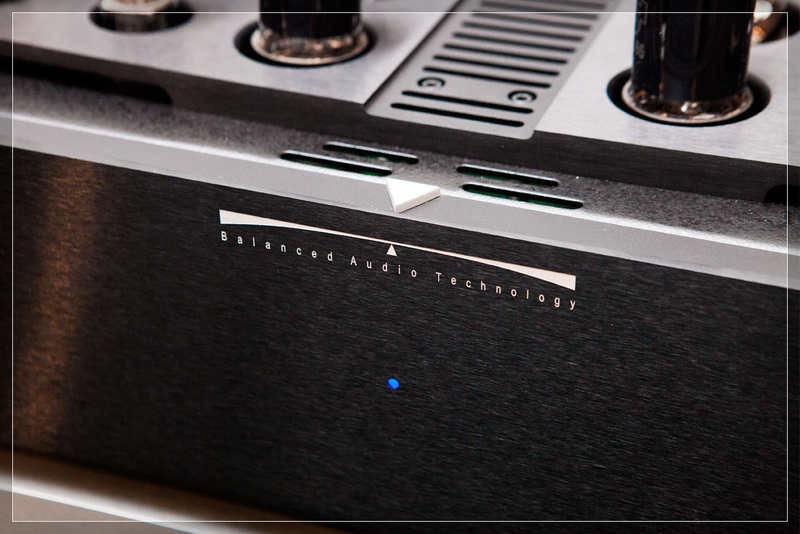 The REX II’s advanced design eliminates the constant need to set and readjust the proper bias of the output tubes. An intelligent automatic bias circuit adjusts for changing line voltage and aging tubes. For convenience, LED indicators show the status of each individual output tube. BAT further extends the plug-and-play nature with a novel “fuse-less” protection circuit, which eliminates the power-supply rail fuses to provide both a more refined sonic performance and user-friendly experience. All you have to do in the event of an output tube being over-stressed is to flip the power switch. No tubes to bias. No tube fuses to replace. It doesn’t get any easier! B.A.T. (Balanced Audio Technology), 일명 박쥐로 불리는 이 브랜드가 우리에게 소개된 지도 약 20년이 되었다. 높은 인지도에 비하면 연혁이 짧다고 할 수 있는데, 거기엔 이유가 있다. 막 이 회사가 런칭되었을 때 바로 우리에게 소개되었기 때문이다. 처음 이 앰프를 알게 된 것은 90년대 말, 모 호텔에서 열린 오디오 쇼 덕분이었다. 당시 하이엔드 오디오에 대한 흥미와 열기가 한껏 고조된 터라, 정말로 많은 분들이 행사장을 찾아 그야말로 문전성시를 이뤘다. 그간 사진으로만 봐왔던 숱한 명기들을 직접 눈으로 보고, 귀로 듣는 순간이었으니 얼마나 흥분되었을까? 그 가운데 B.A.T.를 만난 것이다. 사실 어떤 앰프가 눈길을 끌려면, 그에 걸맞는 스피커를 만나야 한다. 말하자면 배필을 잘 만나야 평론가들의 관심도 얻어내고, 시장에서 판매도 좋아지는 것이다. 그런 면에서 B.A.T.는 창업 초기부터 던래비라는 스피커를 잘 만난 것같다. 실제로 매칭도 좋아서 행사장에서의 반응이 엄청나기도 했다. 이후 던래비는 창업자의 사망으로 브랜드 자체가 흐지부지 되었지만, B.A.T.는 성장에 성장을 거듭해 지금은 전세계 30여 개국에 수출하는 메이저로 발돋움했다. 경쟁이 치열하고, 흥망성쇄가 거듭되는 하이엔드 업계에서 이런 고속 성장은 이례적이기는 하다. 특히, 아무래도 TR보다 사용이 불편한 진공관을 갖고, 게다가 이미 많은 선배들과 경쟁자들이 포진하고 있는 와중에도 이런 성과를 얻어낸 이유는 결국 딱 하나, 바로 성능이다. 그게 빼어난 음질로 연결되었기 때문에 이런 사랑을 받은 것이다. 처음 B.A.T.를 봤을 때, 파워 앰프의 디자인에 큰 충격을 받았다. 넓은 정사각형 패널에 촘촘히 쌓아올린 트랜스와 진공관들의 포름은, 아무리 봐도 질리지 않았다. 특히, 미 대륙의 호방한 기상을 한 몸에 담은 듯한 넉넉함과 여유가 시각에 그대로 전달되었다. 스테레오기 하나만 봐도 그 카리스마가 대단한데, 모노 블록으로 대면하면 거의 압도될 지경이다. 진공관 앰프라는 것은, 기본적으로 진공관이 돌출되어 그 은은하고 신비로운 빛을 주변에 살포시 방사할 때 그 매력이 한층 빛난다. 밤에 리스닝 룸의 불을 꺼놓고 가만히 관을 바라보면 음의 향이 모락모락 피어오르는 느낌까지 받게 된다. 이번에 만난 렉스 2 (REX 2)도 그런 전작의 유산을 잘 계승해, 일단 디자인부터 그 존재감이 어마어마하게 다가온다. 그럼 대체 렉스 2의 최대 미덕은 무엇일까? 거기엔 정말 기발한 발상이 숨어있어서 이 부분부터 소개해야겠다. 흔히 우리가 대면하는 진공관 파워는 대략 두 가지 방식으로 나뉜다. 하나는 주로 3극관, 이를테면 300B, 2A3와 같은 것들을 싱글 엔디드로 처리하는 것이다. 이 경우 해상도와 투명도는 뛰어나지만, 열악한 출력은 어쩔 도리가 없다. 매칭할 스피커의 선택에 골머리를 앓게 된다. 이래서 그 대안으로 등장한 게 푸쉬풀 방식이다. 주로 KT88이나 EL34, 6550 따위에 자주 쓰인다. 이것은 대출력은 보장하지만, 반대로 투명도가 저하된다는 단점이 있다. 이런 양자의 방식이 갖는 장점을 추구한 것이 바로 트라이오드(Triode) 방식이다. 이것은 하나의 채널에 두 개의 싱글 엔디드를 넣어 출력을 강화하는 것이다. 그 경우 싱글 엔디드의 순수성을 보존하면서, 대출력이라는 결과물도 기대할 수 있다. B.A.T.는 이런 설계 방식에 몇 가지 장점을 더 추가했다. 바로 제로 피드백과 풀 밸런스 설계다. 하긴 동사의 캐치프레이즈 자체가 밸런스 방식이기 때문에 부연 설명할 필요는 없겠지만, 이런 여러 기술이 함께 투입됨에 따라 진공관 특유의 진솔하고, 디테일하면서 강력한 드라이빙 능력을 아울러 갖춘 파워 앰프가 탄생하게 된 것이다. 여기서 잠깐 출력관으로 쓰이는 6C33C-B에 대해 알아보자. 이 관의 장점은 아주 높은 전류를 전송할 수 있다는 것이다. 흔히 푸시풀 방식에 쓰이는 6550에 비하면 몇 배나 뛰어나다. 그러므로 굳이 푸시풀 방식을 쓰지 않더라도 높은 출력을 얻을 수 있는 것이다. 또 6550은 기본적으로 고 임피던스 관이어서, 출력 트랜스포머를 설계할 때 상당히 애를 먹는다. 반대로 저 임피던스인 6C33-C는 비교적 간단하게 이 부분을 해결할 수 있는 장점이 있다. 그럼 본 기가 오로지 출력관에서만 이점을 갖는 것이냐 싶지만, 그것만 있는 것이 아니다. 덧붙여야 할 것 중의 하나가 바로 게인 단의 설계다. 여기서는 두 단계에 걸쳐 실시하고 있는데, 거기에 여러 장점이 있다. 무엇보다 진공관이라는 소자가 TR보다 유리하고 또 이를 1차, 2차로 나눔에 따라 각 관이 갖는 스트레스가 적어 내구성이 증가한다는 것이다. 본 기에는 6H30과 6SN7이라는 초단관을 나눠서 각각 1차, 2차로 사용하고 있다. 이렇게 관의 종류를 다르게 한 것은, 그 과정에서 파인 튜닝을 실시할 수 있기 때문이다. 이 부분은 세계적인 스카치 위스키의 블렌딩 비법과 관련된 부분과 같아서 뭐라고 토를 달 수 없지만, 본 기의 음색이나 개성과 관계되었다고 짐작하면 무방할 것이다. 여기에 사용상의 편의성을 도모한 부분도 짚고 넘어갈 만하다. 사실 진공관 앰프는 두 가지 부분에서 좀 꺼리게 된다. 하나는 바이어스 문제. 관이라는 것이 기본적으로 수명을 갖고 있어서 언제 사망할 지 알 수가 없다. 그래서 틈틈이 계측기를 가져다가 손으로 바이어스 조정을 실시하는데, 그게 딱 들어맞지 않는다. 실제로 사람 손으로 하면 어딘지 모르게 냉랭한 느낌도 든다. 그 이유는 각 관이 가진 정확한 히팅 포인트를 모르기 때문이다. 그런데 본 기는 오토 바이어스로 처리해서 최적의 값을 스스로 제공한다. 즉, 보다 정확하게 해당 관의 상태를 최적화할 수 있다는 것이다. 심지어 LED 창에 각 출력관의 상태를 표시함으로, 사용자는 언제 교체해야 할 지 알 수 있다. 또 하나는 프로텍션의 문제. 한 마디로 기기 자체가 과열되거나 과도한 전류가 유입될 경우 펑 하고 폭발할 수 있다는 두려움이 알게 모르게 존재한다. 본 기는 그런 면에서 철두철미한 대응책을 펴고 있다. 이 대목에서 가장 일반적인 것이 퓨즈를 사용하는 것이다. 뭔가가 잘못되면 탁 하고 퓨즈를 끊어주면 되니까. 그러나 이런 방식은 음질에 별로 좋지 않다. 그래서 본 기는 바로 전원을 끄는 방식을 도입하고 있는데, 쉽지 않은 기술이지만, 그 효과는 발군이다. 이번 시청에 사용한 스피커는 아발론에서 나온 트랜센던트다. 따라서 본 기의 경우 스테레오 사양으로 충분하지만, 보다 최상의 음을 끌어내기 위해 모노 블록으로 사용했다. 참고로 본 기는 스테레오에서 모노로 전환이 쉽다. 처음엔 스테레오기로 사서 쓰다가 나중에 스피커가 커지고, 리스닝 룸이 확장되면 하나 더 사서 전환하면 된다. 그 경우 출력이 8오옴에서 80W가 160W로 자연스럽게 증가된다. 진공관 파워에서 80W는 대단한 숫자이므로, 160W에 대해선 두 말할 나위가 없다. 아니 심지어 스피커 하나 당 두 개의 모노를 사용할 수도 있으므로, 그 경우 총 출력은 320W나 된다. 이런 식의 더하기가 얼마든지 가능한 게 바로 본 기인 것이다. 본 기의 시청을 위해 스피커는 전술한 아발론의 제품이 쓰였고, 프리에는 동사의 렉스 2 프리, 소스기는 에소테릭의 P02 & D02 세트가 동원되었다. 참고로 시청 트랙 리스트는 다음과 같다. 우선 말러부터 보자. 사람으로 치면 밥 잘 먹고 나와 거침없이 힘을 쓰는 느낌이라고 할까? 초반부에 첼로군이 밀어닥칠 때의 기세가 압권이다. 스피커가 펼치는 화려한 음장에 에너지와 기백을 가득 담아낸다. 기본적으로 스피커 뒤로 넓게 펼친 음장은 가끔 에너지가 약해서 이쪽으로 잘 전달되지 않는 느낌을 주는데, 파워가 넉넉하게 밀어주면 이런 부분은 말끔히 해결된다. 예를 들어 현악기를 긁거나 관악기를 불거나 하는 것이 그냥 음으로 다가오는 게 아니라, 일종의 터치라는 느낌으로 파악이 된다. 사실 뭘 긁거나 부는 것은 일종의 터치가 아닌가? 그런 음악의 본래 모습이 넉넉히 전달되는 부분은 뭐라 형용할 수 없는 쾌감을 전달해준다. 얀센의 연주는 무척 빠르다. 그 스피드를 최상의 솔리드 스테이트 못지 않게 쫓아간다. 그렇다고 힘에 겨워 헐떡대는 모습이 아니다. 스퍼트를 낼 때와 여유있게 돌아갈 때의 배분이 좋다. 따라서 독주자가 질주하거나 혹은 쉬어갈 때의 대비가 발군이다. 그때 그때 반응하는 오케스타라와의 컴비네이션도 무척 자연스럽다. 따라서 음악 그 자체에 조용히 빠져드는 자신을 발견하게 된다. 다소 격정적인 연주로 알려진 무터의 《카르멘 판타지》가 여기서는 다른 맛으로 다가온다. 약간 냉정을 찾은 모습이라고 할까? 무턱대고 힘을 쏟는 것이 아니라 적절한 페이스 조절이 느껴진다. 그만큼 음의 핵심에 한 발 더 다가섰다고 판단해야 할 것같다. 특히 두 개의 줄을 동시에 긁거나 가끔 줄을 뜯거나 하는 다양한 테크닉이 별로 튀지 않고 음악에 어우러진다. 본 기의 높은 음악성을 짐작할 수 있는 대목이다.